Honker has its roots in the army. IT was developed and built with emphasis on maximum versatility. 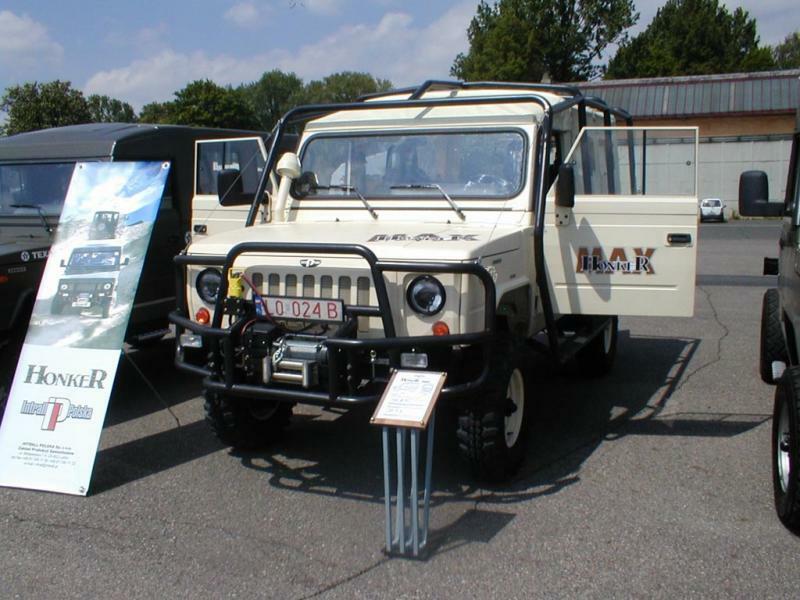 One time Honker serves as armored vehicle of the troops, second time as an ambulance, carrier of lighting ramp, or quick attack jeep. Emphasis on universality can be very efficiently used for civilian use as well. 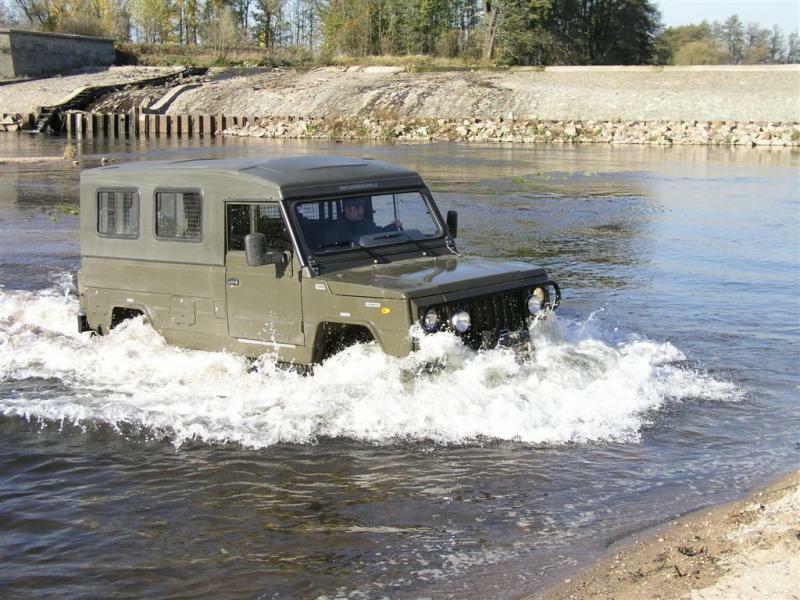 Manufacturer offers special equipment, much of it results from Polish Army accessories. Differential lock is the device, which during unloading or rising one wheel prevents torque transfer to the wheel, which lost the contact with solid ground, and splits the torque to both wheels of the axle the same amount. 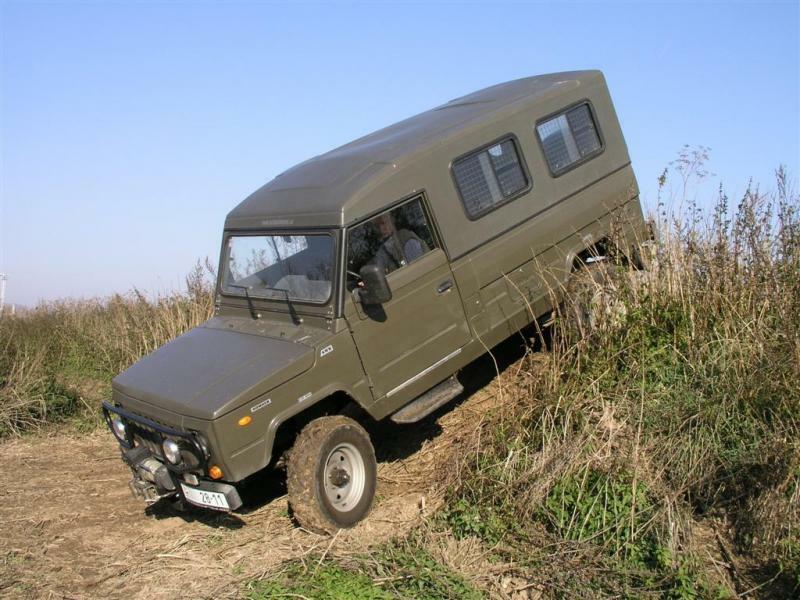 Differential lock is not the only way, how to reach maximum passability trough heavy terrain, difficult to axles crossing. The most important and efficient way how to reach still contact of the wheels with the ground is improved axles crossing ability of the car. Very good demonstration can be seen at the image below, where suspension system, as well as the chassis and body of the stock car allows crossing, and therefore better tracing of the terrain. 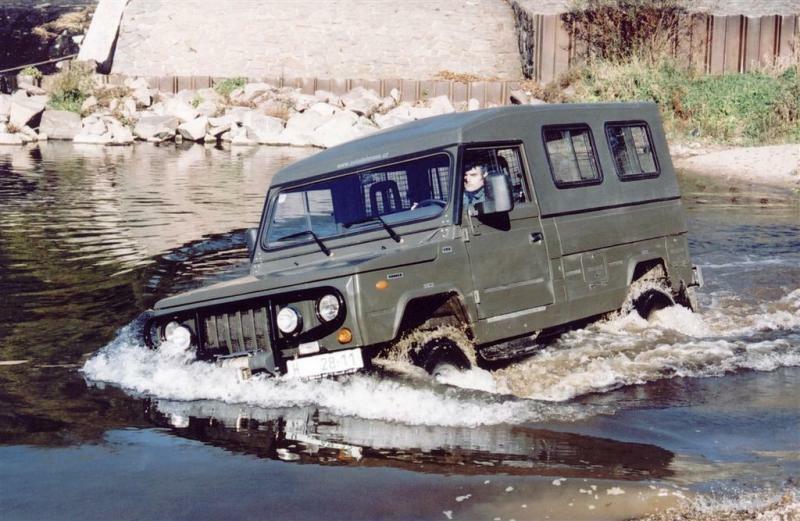 This way is the most efficient; unfortunately it is offered only by true all-terrain machines, not the SUVs and other offroad scams. The most efficient is, because during terrain passes, all wheels stay in contact with the ground, therefore tire grip is 100%. 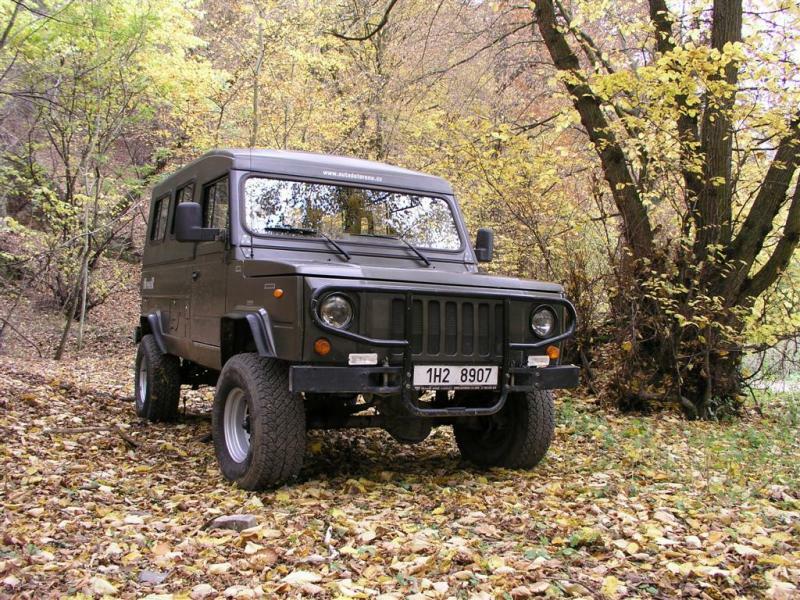 SUV type vehicles, as well as passenger 4x4 cars have the running gears developed and made mainly for road use. Such a construction type does not allow such a wheel spring action, and in most cases there is even no torsion ability of the chassis, because these vehicles mostly do not have any chassis. Stiff integral body construction do not allows any torsion. 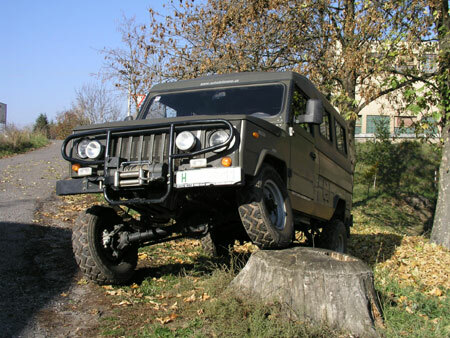 By this reason, vehicles incapable of true offroad driving gets differential locks very often, mostly even in basic equipment. 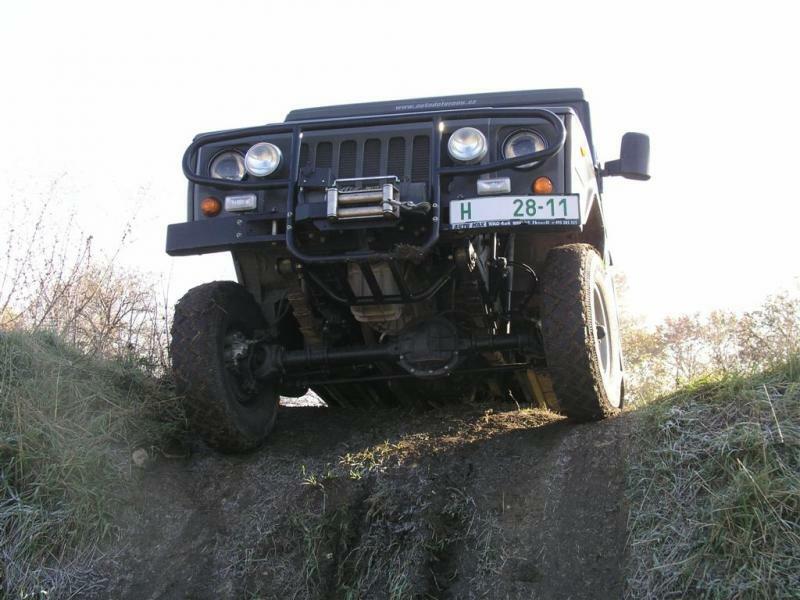 If such a vehicle will lift the wheel during the offroad driving, differential will lock up, or mostly the lifted wheel is slowed down by brake system of the vehicle, which will also allows torque to be transferred to wheel, which is in contact with the ground. Except abnormal wear of brake pars and rotors it is good to realize, that this system is controlled by very complex computer, which usually do not responds very well to sinking in the water or mud. 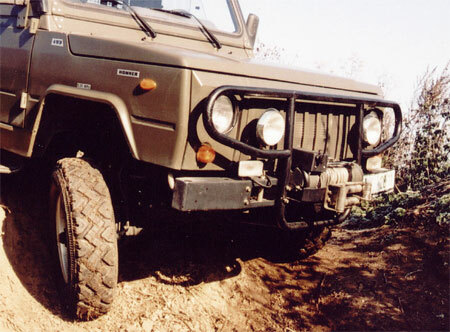 It is also very important to remind, that if the one wheel of the axle is lifted in the air, and the second one is in the mud or any difficult terrain, differential lock don’t have to help at all! 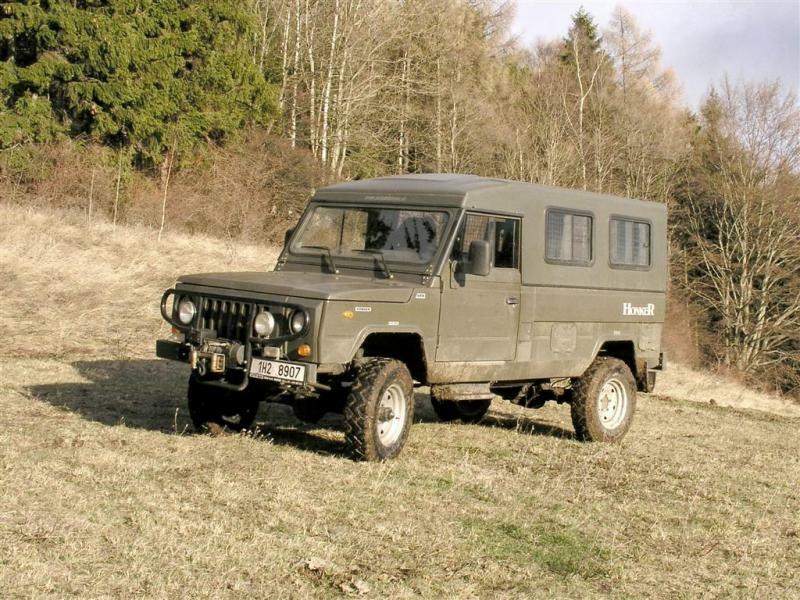 Honker dispose of centre differential in standard (permanent 4x4 versions), however front and rear differential locks are optional. If you decide to equip your new Honker with differential locks, you will receive true 100% diff. lock, not the delicate computer controlled system of wheel braking, nor the limited slip differential solution. 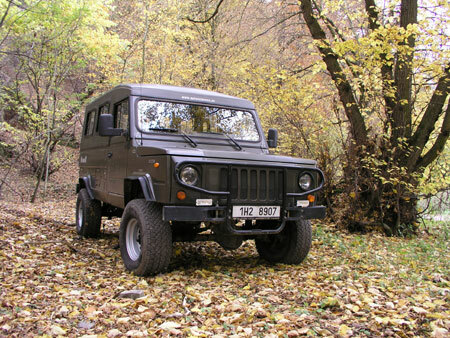 You will get really 100% differential lock, which with Honker crossing capability will help you to drive trough any terrain. Next accessories that Honker inherited from Polish army versions are two independent tanks. 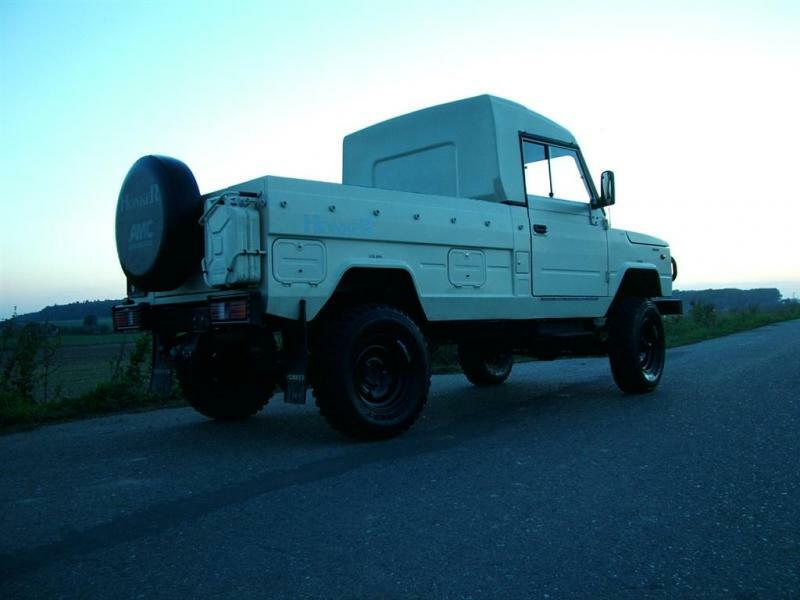 Vehicle is equipped with two tanks for case of penetration of one of them, or for example for case of taking poor quality fuel in combat conditions. For civilian market, two tanks usage is at least debatable. 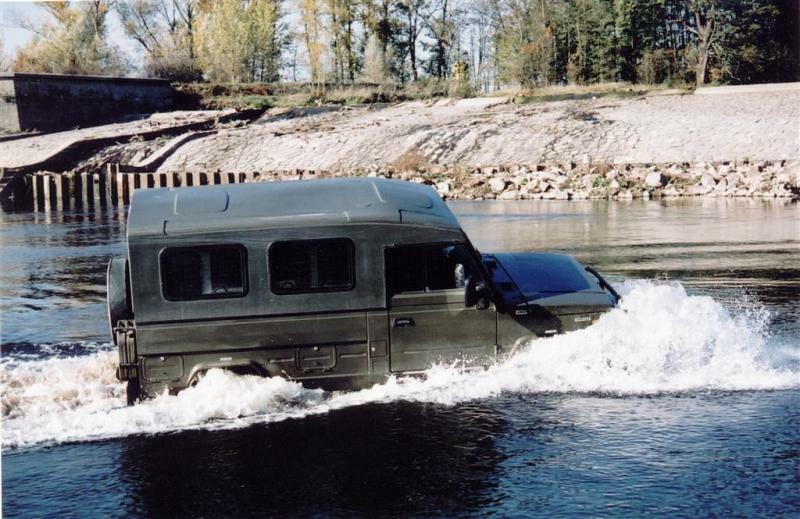 MADE IN RUSSIA developed very clever solution. After removing one of the tanks, there will become enough space to fit the LPG / CNG / LNG compressed gas fuel tank. Filling neck of the gas fuel tank is mounted instead of original gasoline one, Honker will not lose cargo space, nor the full size spare tire. These accessories clearly signify, that you and your offoad car mean it seriously. It would be very hard to find more functional and practical equipment. About how much can with fuel helps when you are running out of it is needless to say, how much solid shovel helps when you sink in mud is clear. Next accessory also originates in army. It is special military cloth, used on padding of all seats. This padding is washable (by pressure cleaning tools as well), resistant of preserving odor and against different damages by sharp objects, such as working clothes clip. Military cloth is very pleasant when touched, and the seat padded by this cloth is surprisingly very comfortable. 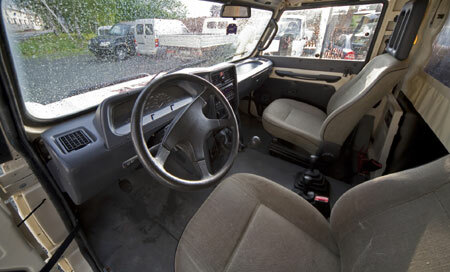 Default padding for Honker seats is washable black artificial leather. 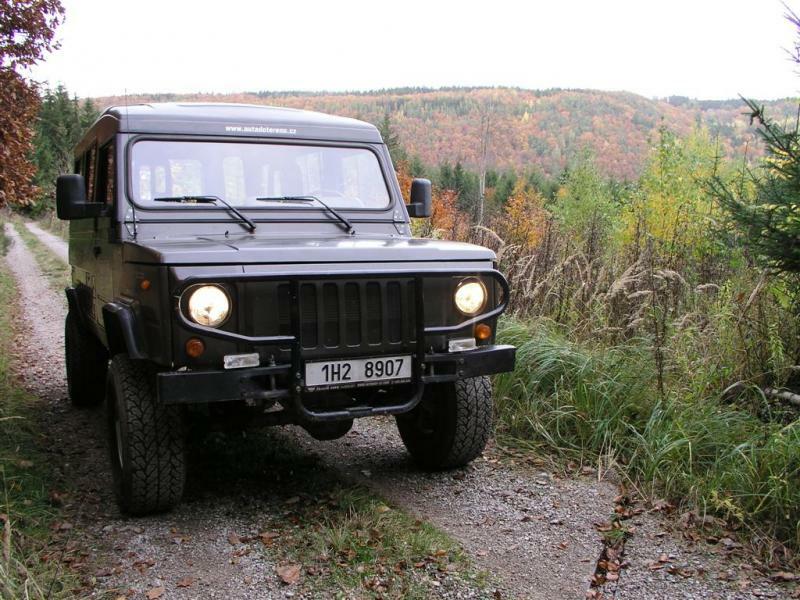 Front protection bar with, or even without the winch is priceless accessories for everybody, who are serious about offroad driving. 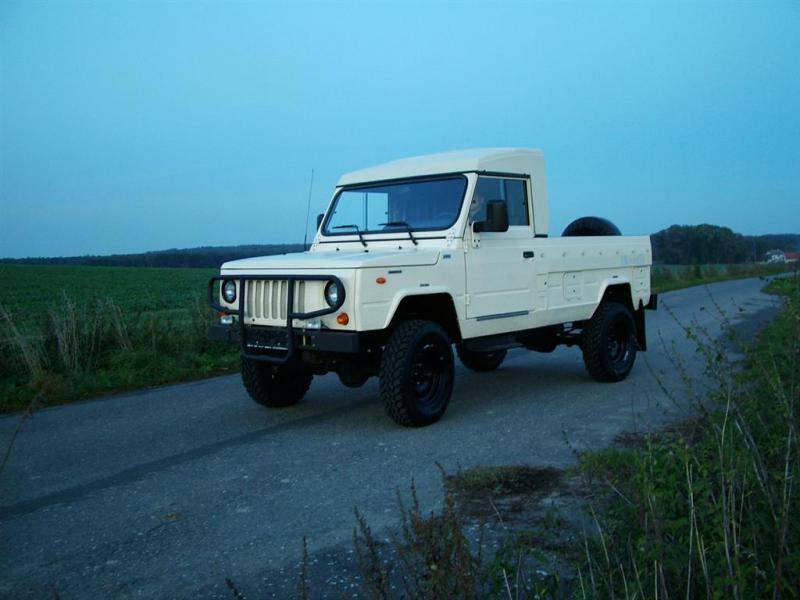 Honker bar with winch is homologated and recorded to vehicle license. 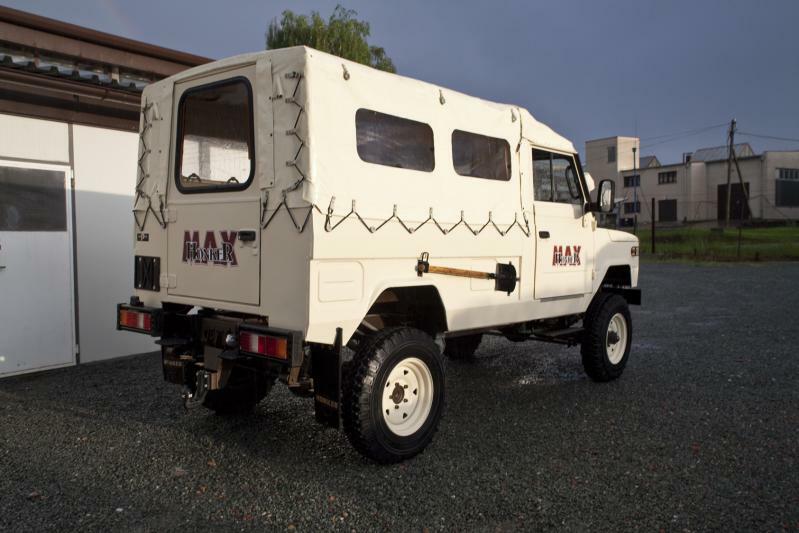 If you demand chrome frame and cheap Chinese winch, we recommend you to buy another vehicle. Honkers are equipped with military bars and American Ramsey winches. For 2011, Honker got this comfort accessory into optional equipment list. Air conditioner is operated mechanically; do not include any computer, which would control simple ventilation system. Therefore you don’t have to worry about reliability and losing the simplicity of your new tough worker. If you would like to modify Honker regarding your taste, wheels sure will be the subject of change. If this is also your case, it is good to know, that Honker is homologated with both 15 and 16 inch wheels. 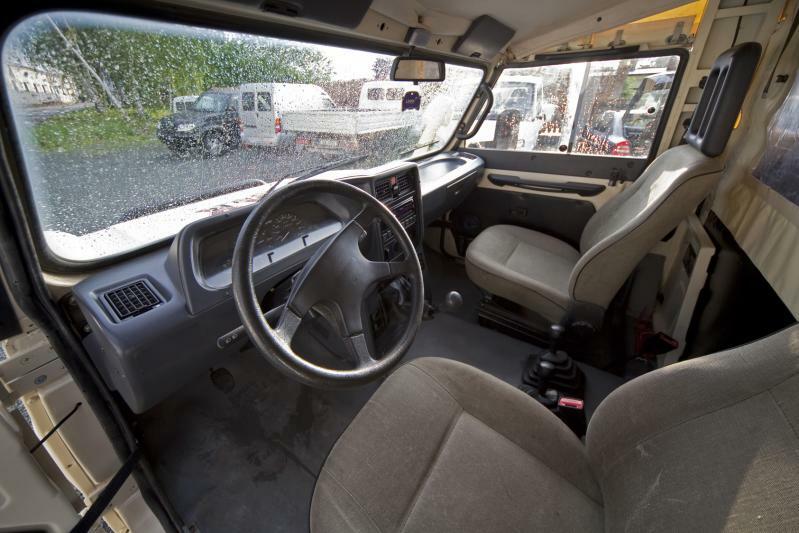 Therefore you have much bigger chance, that you will find the wheel regarding your taste in proper size and offset. Also getting proper tires is easier. 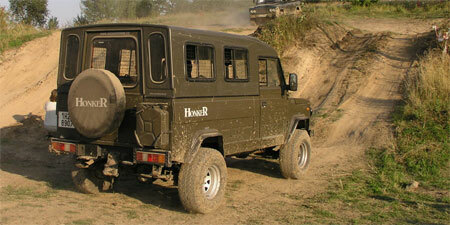 We also offer additional record to vehicle license to used Honker owners! 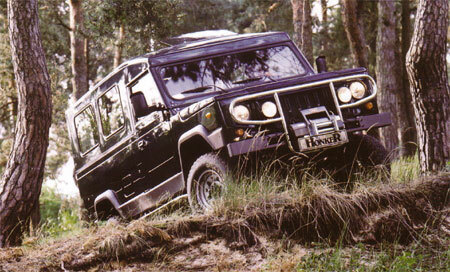 As it was said several times, Honker is true universal terrain special, which have to adapt regarding needs of the owner. 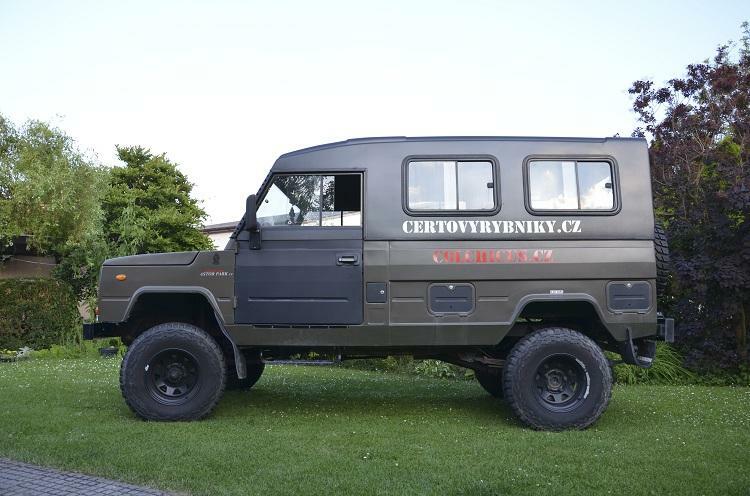 Once it have to be ready for carrying the troops at the battlefield, next time it hast to be reliable passenger vehicle for mountain hotel needs. 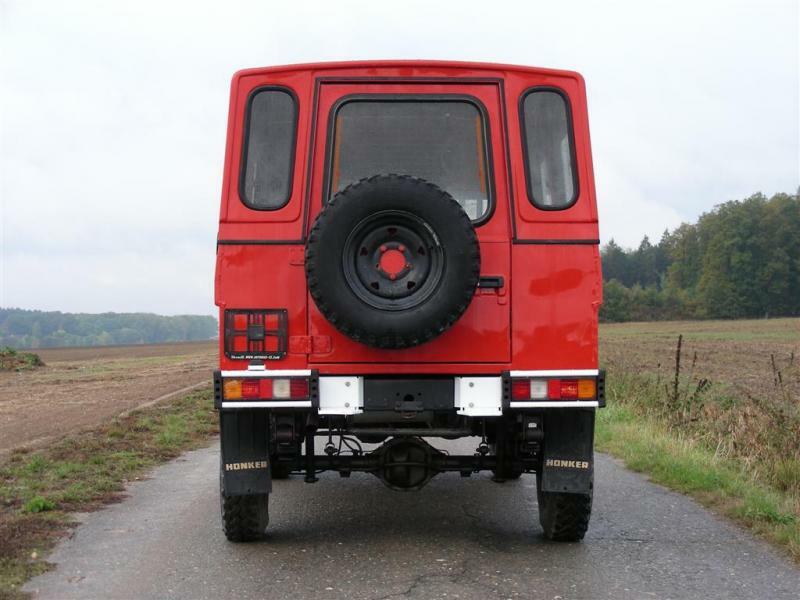 Protection bars, mounted at the chassis will protect your car in rough terrain, and also will make the boarding into lifted vehicle easier. 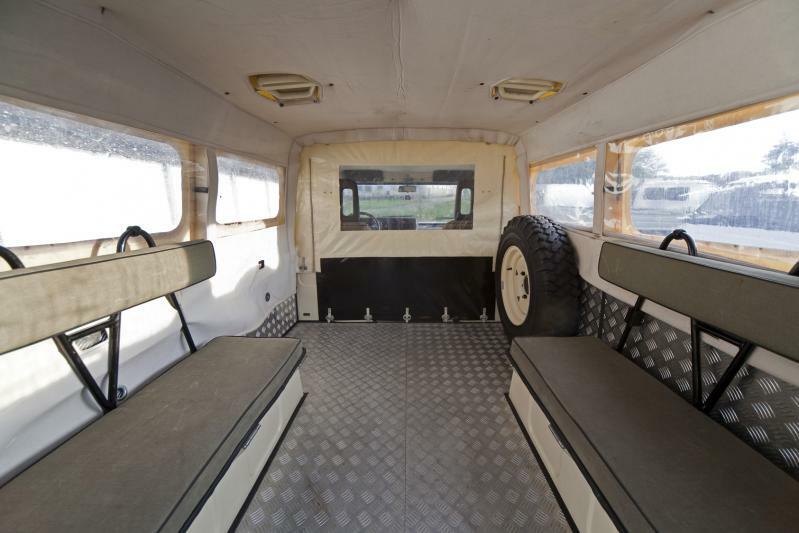 There is also complete protection cage available, which will protect your car against almost anything. Don’t be afraid to be creative and ask about specific protection options for your new Honker. If you demand color palette for your new Honker, which would even parrot envy, we have to disappoint you. Honker is available only in two basic colors. First is classic dim khaki green. Second available color is thanks to export to Middle East sand dim brown. Color of the hardtop or softtop roof is of course corresponding with vehicle color. If you are considering Honker as your new work mate, you will probably not be interested in optional paints. On the other hand, if you think about Honker more as the SUV for true men, perhaps optional glossy metallic or non-metallic paint will interest you. Paint job is done during manufacturing process at the plant, so the vehicle is built for the specific client. 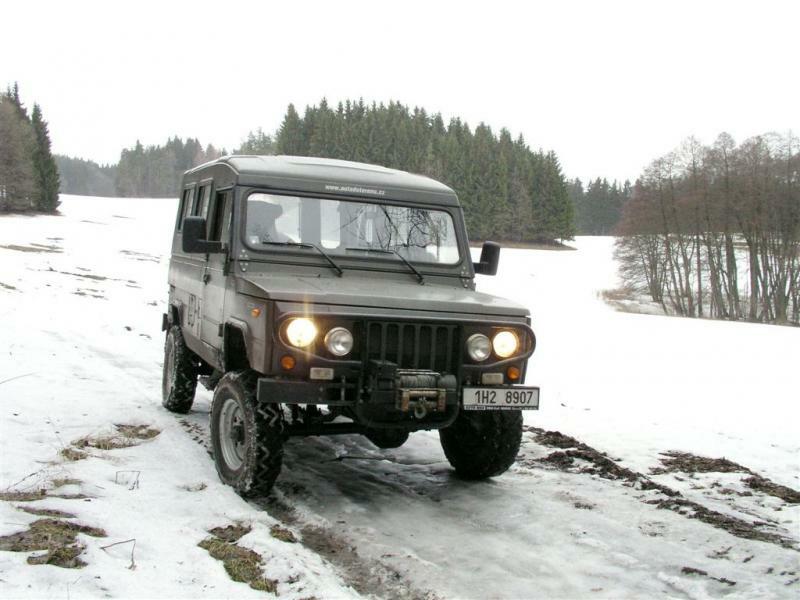 For extremely low temperatures, or if the vehicle is used for static service, for example patrolling, there is branded additional heater available. Webasto heater is assembled directly in factory, and was developed specifically for Honker. There are several versions available, hot-air heating or warm-water heater. Warm-water version heat up the engine coolant, which allows heating system of the vehicle to work even with engine switched off. This also has positive effect to vehicle starting. On the other hand, hot-air heater works at the principle of immediate heating of air run by heater motor to the cabin. 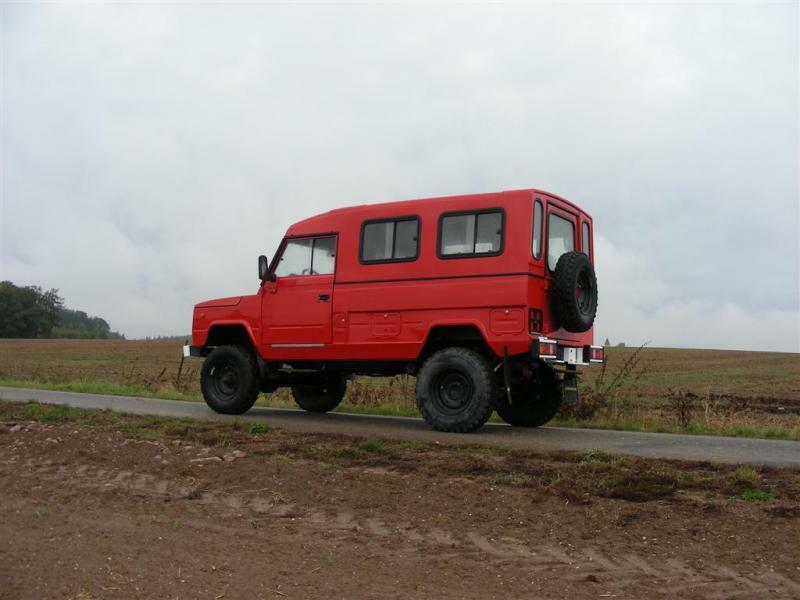 Accessories offer is wide and consist the offroad capacity improving options, as well as comfort accessories or design improvements. 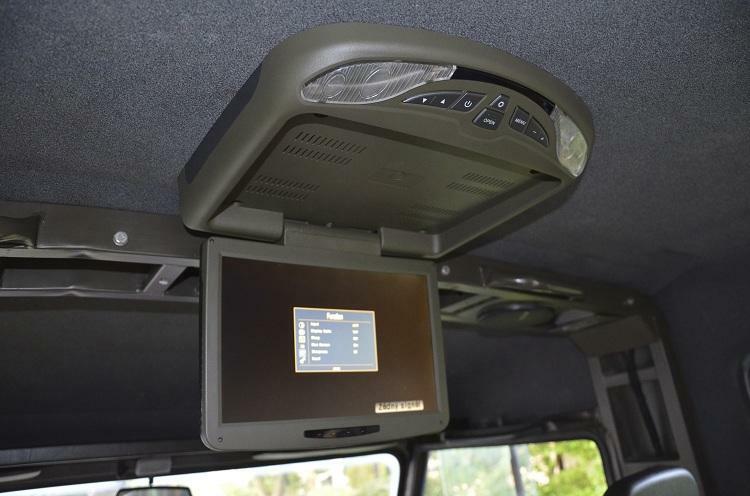 You can choose from additional lights, wheels, or for example powerful stereo with LCD screens everywhere. If you are interested in any options, inform yourselves in the contact section.